I you have never ordered a book from Amazon, specifically the used books option, you have really missed out. I’ve thought about the River Cafe books forever and finally took the plunge, 1 for 78 cents and the other for $2.98 both in excellent condition, can’t beat that unless you get a free copies from another source that I have yet to find! So I look forward to cooking from both books beginning with a salad tonight. 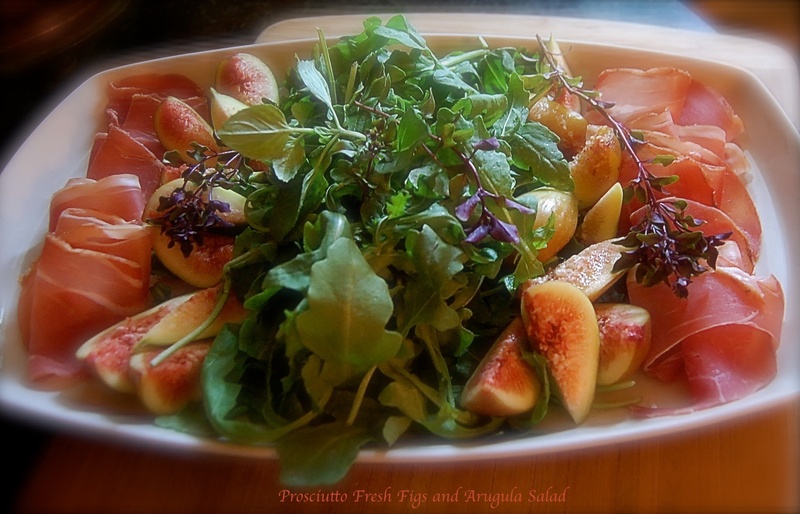 With fresh figs ready to pick, salad for dinner was a simple salad adapted from River Cafe, TJ’s wild arugula, figs and prosciutto with fresh basil and mint. Dressing juice of one lemon, 3-4 tablespoons EVOO, salt, pepper and lightly drizzle over salad. 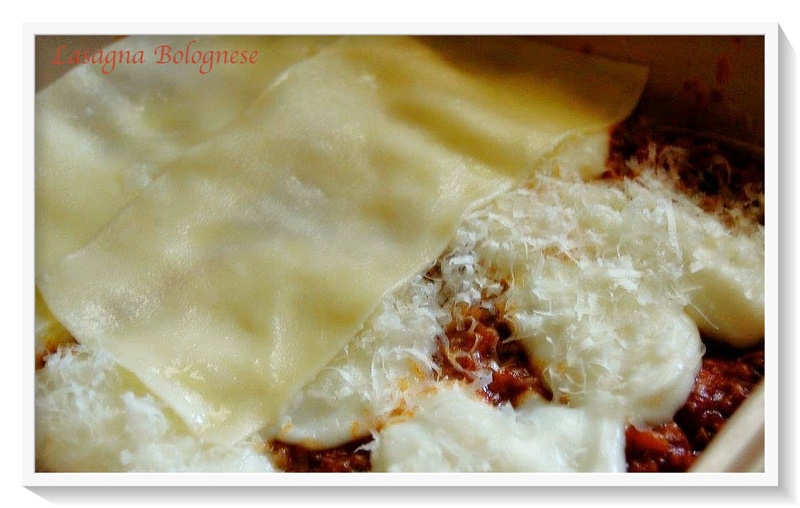 Any day that you crank out a great fresh pasta dish is a good day indeed and while the sun dove into the clouds and the afternoon rounds of rain moved in I found myself making a decision for Saturday night’s dinner with friends, fresh pasta for a Bolognese/béchamel lasagna. I made the sauce Wednesday so I was prepared to put it all together and have ready to bake. My meat sauce ingredients never changes too much, but this time I used a blend (3/4 lb. ground beef brisket, 3/4 lb. pork, and 1/2 lb. lamb). The sauce was cooked in the Ninja slow cooker on the stove top setting because I can brown the veggies and meats without using two pans and then cook on the stove top or slow cooker setting.